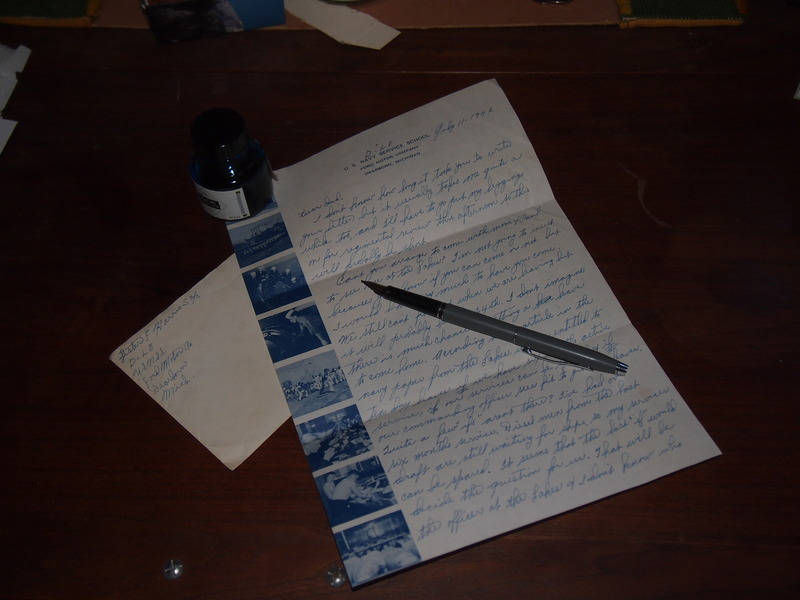 In a letter to his father, Lester actively encouraged his dad to come visit with his mother and youngest brother, Paul. Evidently, Dad had a few reservations. The other brother, Wallace, wasn’t mentioned. Perhaps it had already been decided that he would stay home and take care of the farm chores. 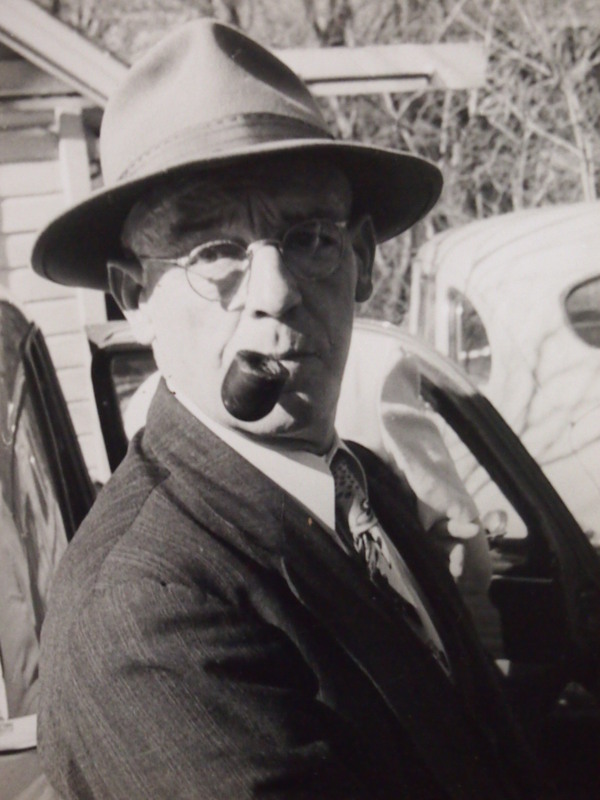 Given all that there was to do on a farm in wartime forties, it was probably hard for Charley to think about leaving, even to see his oldest son. He didn’t travel too much. 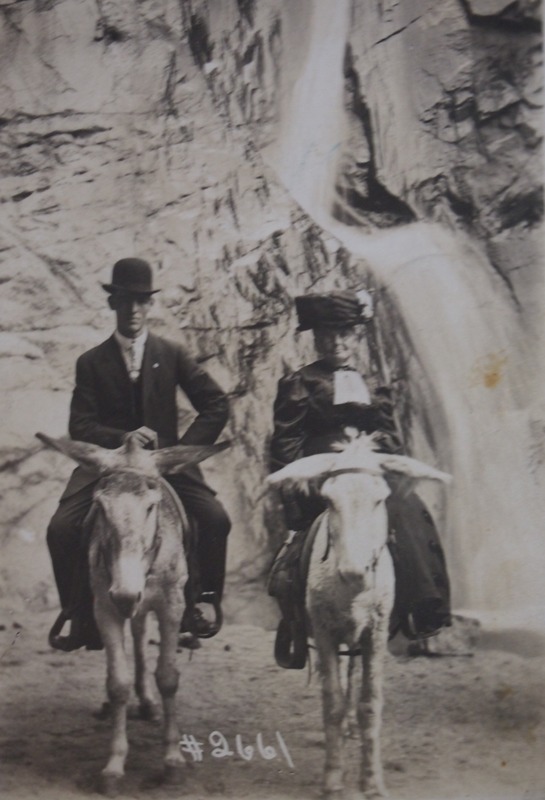 However, in his younger days, while he was courting Georgia in 1911, he had accompanied his mother to Colorado Springs on holiday and sent a postcard photo to Georgia from the west. In wartime Kansas 1942, it was not that easy to leave. Lester gave it his best shot, however. I don’t know how long it took you to write your letter but it usually takes me quite a while too, and I’ll have to go put my leggings on for regimental review this afternoon so this will probably be short. Can’t you arrange to come with mom and Paul to see me at the Lakes? I’m not going to insist because you know if you can come or not but I would like very much to have you come. We still can’t find out when we are leaving but it will probably be the 14th. I don’t imagine there is much chance of getting a leave to come home. According to an article in the navy paper from the Lakes, we are entitled to ten day leaves if we have six months active service, if our services can be spared and if our commanding officer sees fit to give us leaves. Quite a few “ifs” aren’t there? I’ve had over six months service. Diesel men from the last draft are still waiting for ships, so my services can be spared. It seems that the last “if” would decide the question for us. That will be the officer at the Lakes and I don’t know who he will be. The boys who left two weeks ago are still waiting at the Lakes and most of the diesel draft of six weeks ago are waiting in New York. I wish we could find out something before it happens but that seems impossible. Just have to wait and see, I guess. I bought a new pen over at the store in the Ford plant the other day. It is a $2.95 Parker but cost me only $1.65 over there. It writes swell. If mom hasn’t bought a pen yet, I’ll get her one here if she lets me know by the last of next week. Does your pen still work OK? Do you have most of the work done now? I suppose that you are thru with the corn. 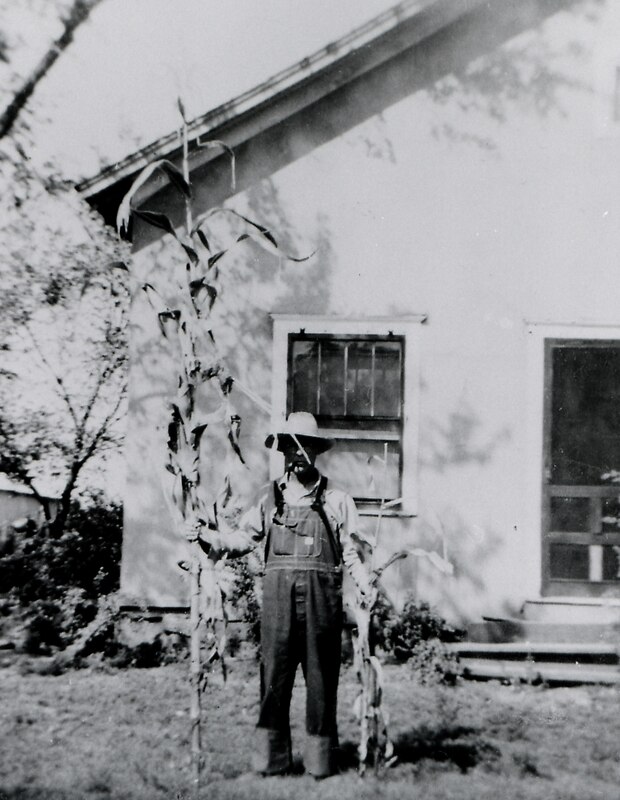 Charley and samples of his corn, 1942. It is time for me to go so I’ll close and mail this. Remember I want to see you if you can come. I won’t be able to find out anything about getting leave until I get to the Lakes and if we waited until then to decide to come or not, you couldn’t get to the Lakes until my weekend liberty would be over. If we stay at the Lakes more than a week, I would probably get a long liberty. Hoping to see you.